Plastic pellets are estimated to be the second largest direct source of microplastic pollution to the ocean by weight. Despite documentation of plastic pellet pollution since 1972, there is zero corporate transparency regarding the sources or extent of global plastic pellet loss and the entities responsible. Plastic pellets, also known as pre-production pellets or nurdles, are the building blocks for nearly every product made of plastic. 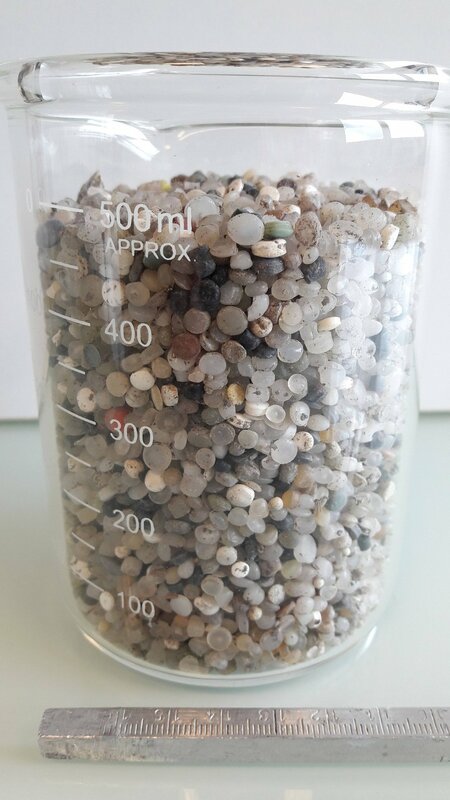 About the size of a lentil, plastic pellets are produced by petrochemical chemical companies and transported to plastic manufacturing facilities where they are melted down and shaped into a final product. It is estimated that 270 million metric tons of plastic is produced around the globe every year, much of which begins its life as a plastic pellet. Plastic pellets escape into the environment during every stage of their lifecycle: from production, to transportation, and during final product manufacturing. Billions of plastic pellets are swept into waterways annually, adding to harmful levels of plastic pollution in the environment. 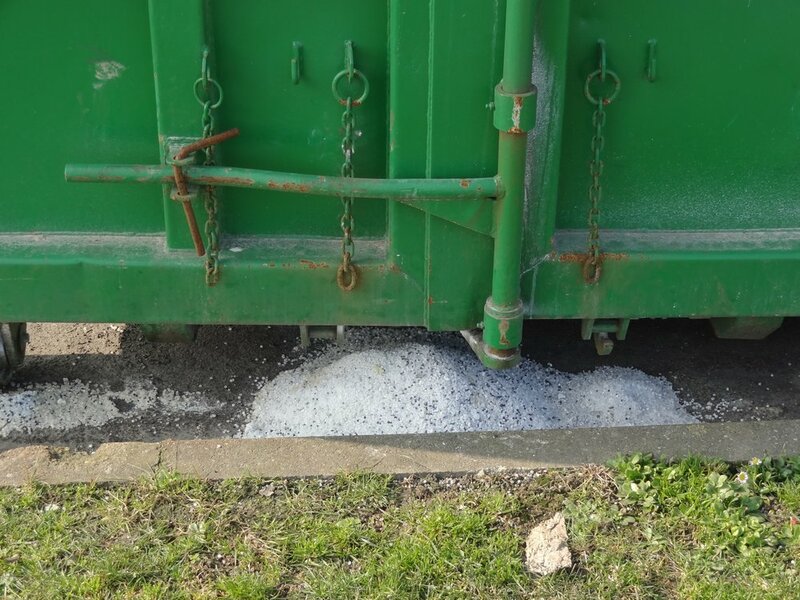 One recent study estimated that up to 53 billion pellets may be spilled annually in the United Kingdom alone. 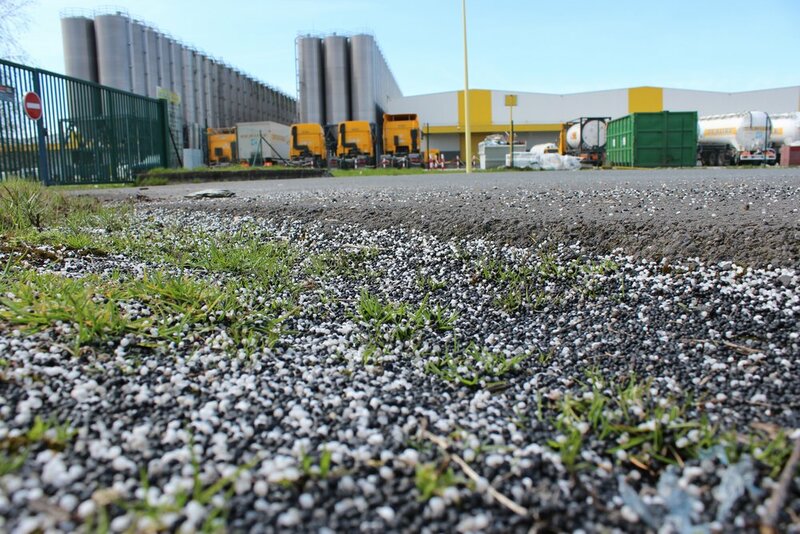 Another study concluded that continuous leakage from one major industry production complex in Sweden releases up to 36 million plastic pellets annually. Pellets are similar in size and shape to fish eggs and are often mistaken by marine animals for food. Plastic pellets can absorb toxins such as dioxins from water and transfer them to the marine food web and potentially to human diets, increasing the risk of adverse effects to wildlife and humans. Eight million tons of plastic leaks into oceans annually, impacting 260 species, causing fatalities from ingestion, entanglement, suffocation, and drowning. Plastic does an estimated $13 billion in damage to marine ecosystems annually. If no action is taken, oceans are expected to contain more plastic than fish by 2050. The plastics industry created an initiative called Operation Clean Sweep with a stated goal of reducing pellet spills through adoption of best practices, but this initiative has provided no public reporting in more than 25 years of existence. A critical first step to reduce plastic pollution is corporate transparency. As You Sow is challenging four of the largest plastic resins manufacturers to disclose actions taken to prevent and remediate spills of pre-production plastic pellets into waterways during production or transport. After attempts to engage the companies in dialogue were unsuccessful, shareholder proposals were filed for 2019 with Chevron, DowDupont, ExxonMobil, and Phillips 66, which own large petrochemical operations producing plastics. The proposals ask for annual reports disclosing spills, measures taken to clean spills, and actions taken to prevent such activity in the future.